Amy’s initial shock after her diagnosis was enormous. Amy had just finished with the menopause and was looking forward to her body stabilising as her hormones settled down but she was instead thrust into a fast-paced round of treatments. Radiotherapy followed, which left Amy very tired and feeling at a particularly low ebb. She was relieved that the results of a further biopsy on the lymph node that had been removed confirmed the tumour had not spread beyond the breast, so she was spared chemotherapy. Amy can laugh about that now and is pleased that she did have her breast rebuilt with an implant but is glad that most women no longer have to go through this. Today, women like Amy are treated with breast conserving surgery, where the lump and some surrounding tissue only is removed, rather than the whole breast. This is just as effective at treating the cancer, but prevents the need for breast reconstruction. As Amy’s tumour had been sensitive to oestrogen, the doctors decided that she was an ideal candidate to take tamoxifen. Tamoxifen is a drug that blocks oestrogen receptors on all body cells, including tumour cells, so preventing the hormone from stimulating cancerous cells to grow. 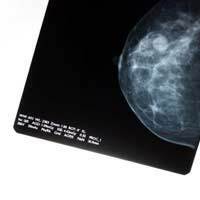 Tamoxifen can be used as a cancer treatment but large trials had just shown that it can prevent breast cancer recurrences in women whose tumours have been removed and treated. Amy’s story is not unusual. Around 80% of women who are diagnosed with early stage breast cancer in the UK, France, Germany or other western European countries can expect to survive for 5 years. Around 66% survive for 20 years. Increases in survival are due to a combination of factors, including better screening and new treatments. Tamoxifen and the aromatase inhibitors have prevented cancers coming back in thousands of women who have taken it over a long period, and clinical data is still being collected on the benefits of these drugs. A new drug, herceptin, was controversial when it was first used because of its cost and the lack of clear evidence of its impact on long-term survival. However, it does definitely increase the time between treatment and recurrence of cancer in women with tumours that have a special receptor on their cell surface. If Amy’s breast cancer ever came back, and her tumour cells expressed this receptor, she would now be eligible for a year’s treatment on the NHS. “I would not have believed 12 years ago that I would be doing the things that I am doing today. Having breast cancer, and surviving it thanks to the different treatments that I have had is a major part of my life now. I know that breast cancer can recur – but I also know that there are further treatments that could help. I have so much hope for the future and, however much time I have now, every minute will count."